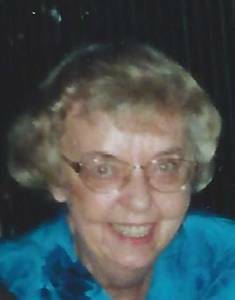 Alice V. Swanson passed away peacefully July 12, 2016. Beloved daughter of the late Fred and Olga Swanson and loving sister of the late Frances (Ben) Benton. Dear Auntie of Barbara, Marjorie, and Catherine (Daniel) Beattie. Cherished Great Aunt to Vincent, Theresa (Colin), Joseph and Matthew. Services will be determined by the family at a later date.